With One Life to Live "shelved", several of the soap&apos;s biggest stars are likely looking for work. While I don&apos;t think any of the existing network daytime suds should go on a casting spree akin to Maria Arena Bell flying low over the carcasses of the ABC Daytime version of All My Children a few years back, I do think several suds roles could be smartly filled with OLTL vets. 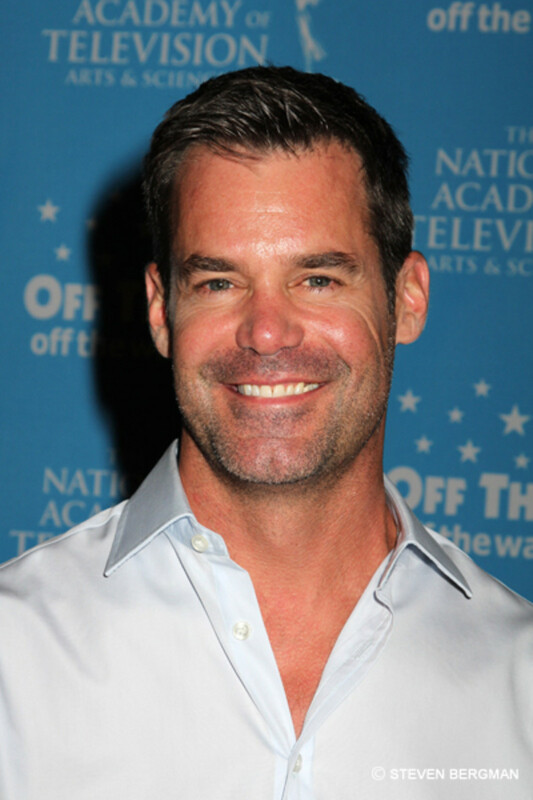 For starters, imagine the hilarious dose of brazen sexuality and bon vivant energy Tuc Watkins would inject into the role of Phillip Chancellor III on The Young and the Restless. Let me backtrack a bit to set up the story that would facilitate the return of Jill Foster Abbott&apos;s (Jess Walton) first born son with the late Phillip Chancellor II. Chance (played by OLTL hottie Josh Kelly in my fan fic wet dreams) returns to Genoa City on the heels of his step-grandmother&apos;s death, with plans of going to work at Chancellor Industries. Nina (Tricia Cast) and Phillip&apos;s son has had his fill of dodging bullets as a cop, and at long last wants to explore his birthright. Chance hopes to take an entry-level position at the firm and learn the ropes from CEO Cane Ashby (Daniel Goddard). Understandably a bit wary, Cane still readily agrees to teach the son of his best friend—whose identity he once assumed—everything he knows. Lily (Christel Khalil) assures her husband he has nothing to fear from Chance — he&apos;s a good guy! There&apos;s no way Chance would return to the family fold, under the guise of learning the business from the ground up, while secretly plotting against Cane, she reasons. "That just isn&apos;t in Chance&apos;s nature," she promises. Unfortunately for Lily and Cane, it most assuredly is in Jill&apos;s nature. Still feeling slighted over Katherine (the late Jeanne Cooper) passing her over for the CEO position, Jill sets about making things right for the next generation. She becomes determined to see her grandson seated at the late Phillip Chancellor II&apos;s desk. Phillip died wanting Jill and their son to have his legacy, but Kay stopped that from happening, when she had Jill and Phillip&apos;s marriage invalidated. Since Phillip III wants nothing to do with the Chancellor empire, Jill vows to see to it that his son gets what is rightfully his. To that end, she teams with Nina, who also wants Chance atop the family dynasty. Nina was the person who initially exposed Cane&apos;s "I&apos;m The Real Phillip" con. While she&apos;s pretended to accept his precarious role in their family, Nina has been desperately waiting for the "Chance" to get rid of the Aussie grifter. The two women team up to begin buying up shares in Chancellor Industries. Jill sells her interest in Fenmore&apos;s Department Stores, Inc. to Adam (Michael Muhney), in order to secretly buy Tucker McCall&apos;s stake in Chancellor. Nina uses the considerable liquid assets she inherited from Kay&apos;s estate to set up a dummy corporation, Prodigal Inc., with the sole purpose of acquiring enough stock in Chancellor to force a board of directors vote that rids the company of Cane. Jill and Nina aren&apos;t the only women in Genoa City thrilled about Chance&apos;s return. A newly-divorced Chloe (Elizabeth Hendrickson) wonders if this is her and Delia&apos;s opportunity for a second "Chance". With Esther&apos;s (Kate Linder) encouragement, Chloe begins to pursue Chance again — much to Nina&apos;s chagrin. Nina still maintains Chloe isn&apos;t the right woman for her son. Jill is quick to point out Chloe is a lot like Nina was when she was younger, a shameless schemer on the make. Nina doesn&apos;t miss the opportunity to remind her frenemy she was no slouch in the gold digger category back in the day! Chance&apos;s meddling grandmother and mother decide beautiful young heiress and model Summer Newman (Hunter King) would be a much more suitable match for the heir apparent, than a multiple divorcée with a baby, who happens to be the maid&apos;s daughter. Now here&apos;s where Tuc comes in. When Phillip (now played by Watkins) gets wind of what Jill and Nina have been up to, the jet setter returns to put a stop to their shenanigans. He tells Nina he expects this sort of behavior from Jill, but he&apos;s surprised by her. Doesn&apos;t she realize she and his mother are interfering in Chance&apos;s life, the exact same way Kay and Jill once played god with his, Nina&apos;s and Cricket&apos;s (Lauralee Bell) lives? "What&apos;s next, are you going to pay your male secretary to seduce Chloe?" Phillip wonders. Nina shoots back that maybe if his two moms had been successful in busting them up, she wouldn&apos;t have spent years pining away for a not-so-dead gay man! While back in town, Phillip strikes up a surprising friendship with Chloe&apos;s ex-husband Kevin (Greg Rikaart). Over drinks one night at On The Boulevard, Kevin relays his disastrous history with women to Phillip — who is in talks to buy the restaurant from his brother. Kevin jokingly wonders aloud, "Maybe I should give up and play for the other team?" Realizing his remark may come off as offensive, Kevin apologizes. Phillip tells him no offense was taken. He then leans over to kiss Kevin passionately, as Billy (Billy Miller) looks on in amused shock. "Dude, what are you doing?" he demands. Phillip apologizes, saying he got the impression Kevin was interested. Kevin insists he isn&apos;t and rushes off. "What...the...hell was that big bro?" Billy asks, still chuckling. "Screw you, Billy," Phillip returns, getting up to leave, dejected. Kevin heads straight home for the shower. Thoughts of Phillip&apos;s lips pressed against his cause him to quickly turn the water temperature down a few degrees. What do you think? Is it high time for the real Chancellor heirs to return to claim what belongs to them? Sound off in the comments! Wishful Casting: Brandon Barash as Lauren's Son Scotty on The Young and the Restless!